Christmas feels like it was just two weeks ago and yet here we are, crafting our way into March! St Patrick’s Day is just days away so my pre-schoolers got busy creating a keepsake rainbow. And you can’t have a rainbow without a big pot of gold, can you? 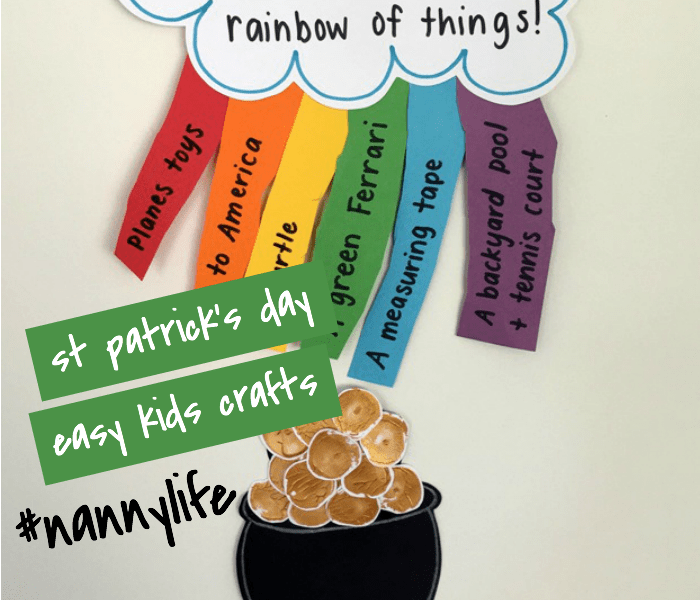 Celebrate the heritage and culture and chat about the luck of the irish with this fun easy kids craft. 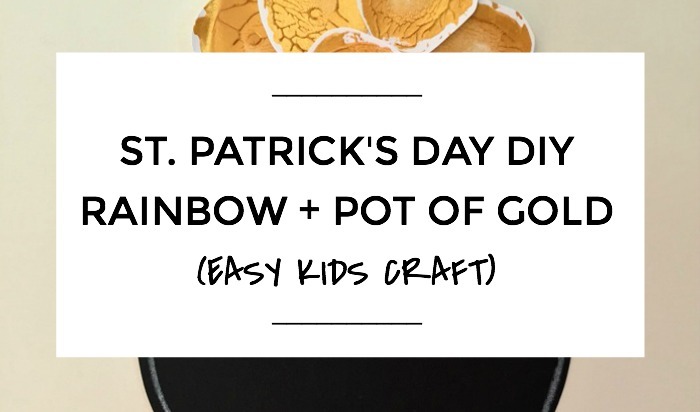 This rainbow painting and pot of gold is the perfect St. Patrick’s Day Craft and is a great activity to do with the kids in an afternoon, with lots of creativity, reflection and thinking, and laughter (of course). 2. Cut long strips of coloured paper and glue onto the back of the cloud. 3. Now comes the fun part – the wishes! Picking only 6 is hard but your kids are guaranteed to come up with some pretty cute (& strange) wishes. 4. Write one wish on each colour of the rainbow. 1. Draw or source a pot and stencil onto black card. 2. 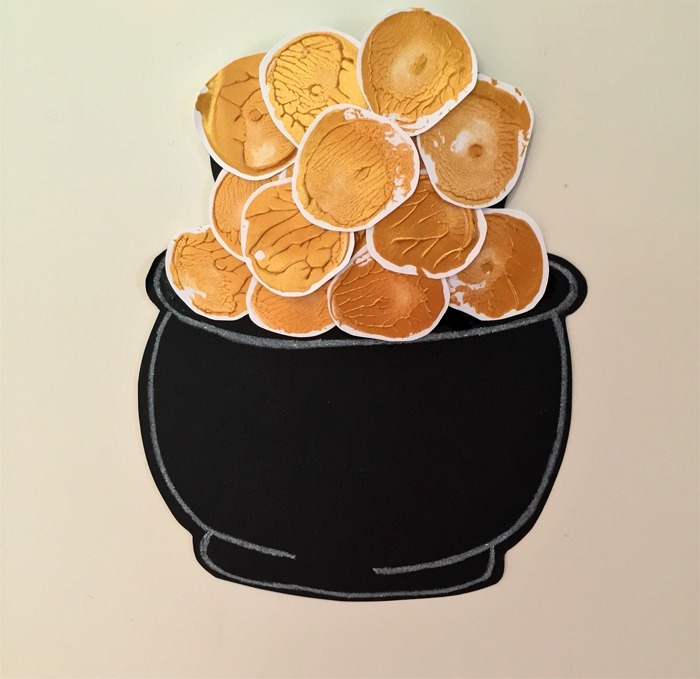 Use a cork, bottle lid or similar to stamp into gold paint and onto paper. Tip: If you don’t have gold paint, yellow paint with glitter works just as good! 3. Once dry, cut out the coins and glue onto the already cut pot. 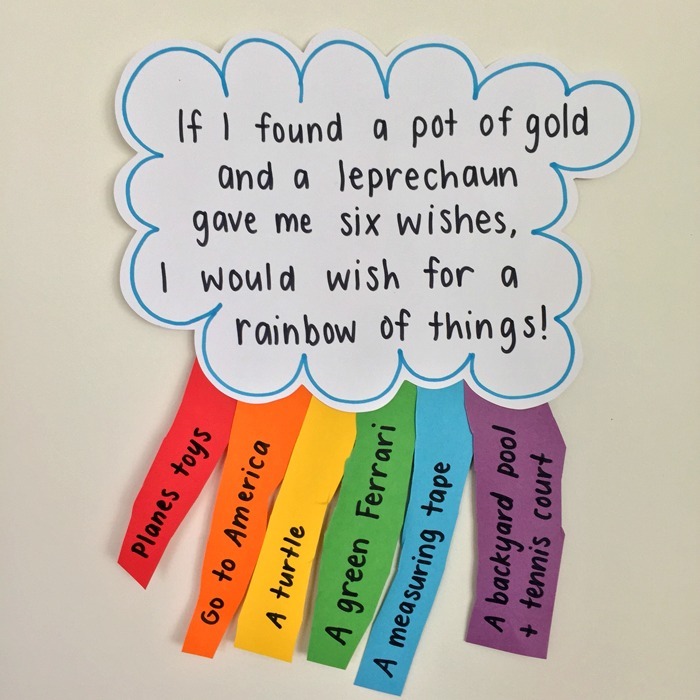 We had lots of fun imagining and wishing for everything we could only dream of whilst making this St. Patrick’s Day Craft! Happy crafting. 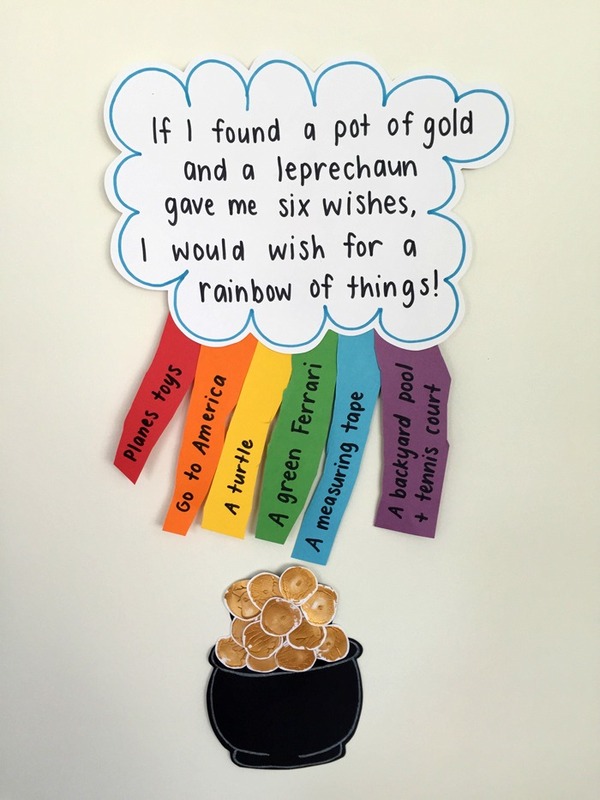 >>> If a leprechaun gave YOU 6 wishes, what would you wish for?